The weather has remained unsettled for the last few days with heavy rain, albeit brief, on a couple of occasions. The rain is keeping the temperatures down with daily maximums about 26 degrees Celsius, which is much lower than would be expected at this time of day. The unusual weather has not really produced the birds I was hoping for but birding has been steady on the ‘patch’ with a few good birds being seen each day. A few birds are now appearing on the grassy areas outside my office with three male Pied Wheatears, a female Pied Wheatear and a really smart Turkestan Shrike showing well. 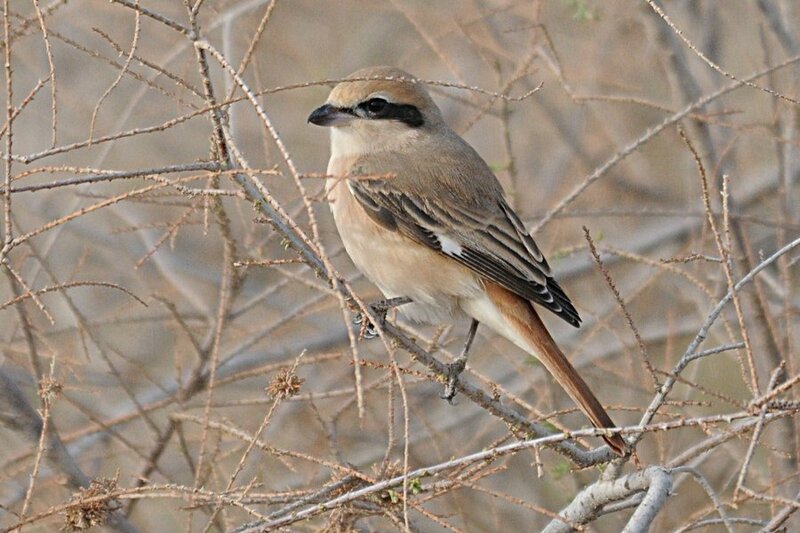 There was also a Daurian Shrike in the same bushes and three Indian Silverbills, which are first ones I have seen this year in Dhahran. The percolation pond still has very few birds with only one Great Crested Grebe of any note. Raptors are still being seen over the pond on occasion with Eurasian Sparrowhawk seen on two occasions this week. Seven Black-winged Stilts and a single Green Sandpiper are the only waders present at the moment. 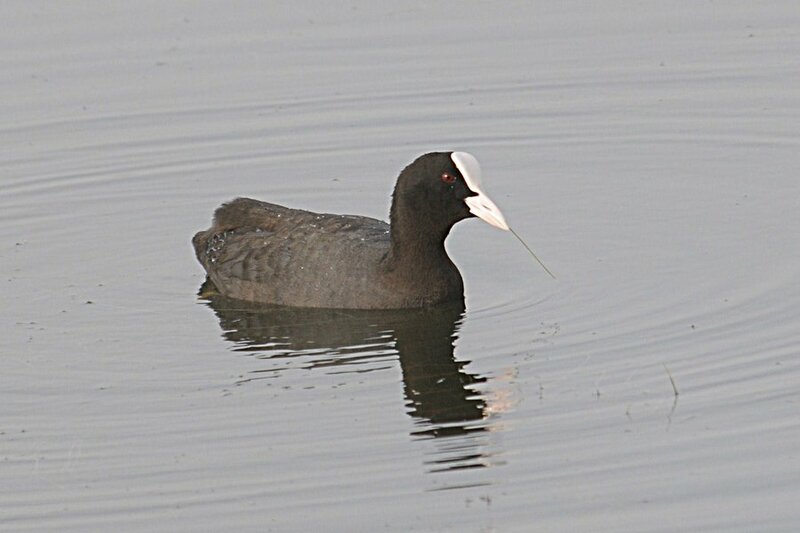 The Eurasian Coots are collecting nesting material, but the sparse vegetation left on the pond after the winter clearance of all the reeds has made the job difficult. 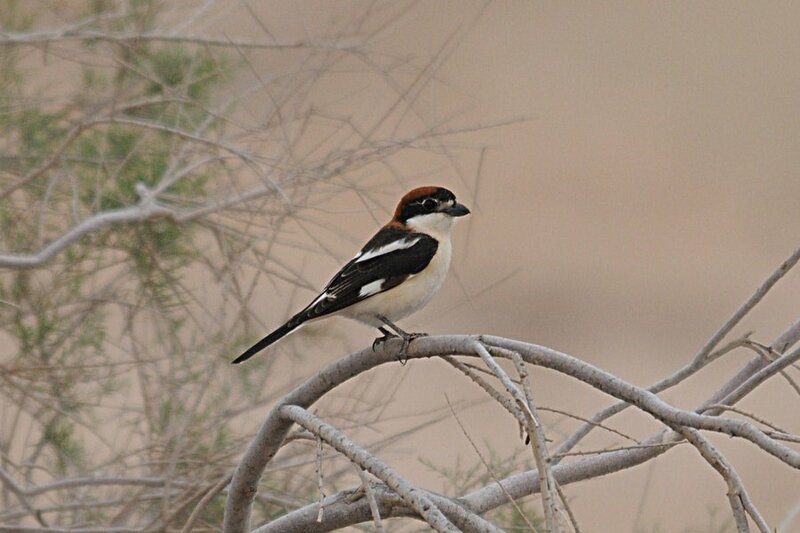 A Little Egret was seen feeding along the edge of the duck pond in Dhahran Hills Park which is the first bird I have seen in the area for over a month and a flock of European Bee-eaters totaling eleven were catching insects from the scrubby desert area. These are the first returning European Bee-eaters I have seen this spring, although they have been seen elsewhere by other people in the last week or so. Pied Wheatears are still common with up to 15 birds being seen daily and Steppe Grey Shrike is becoming more common with three seen on a single day being the highest count. 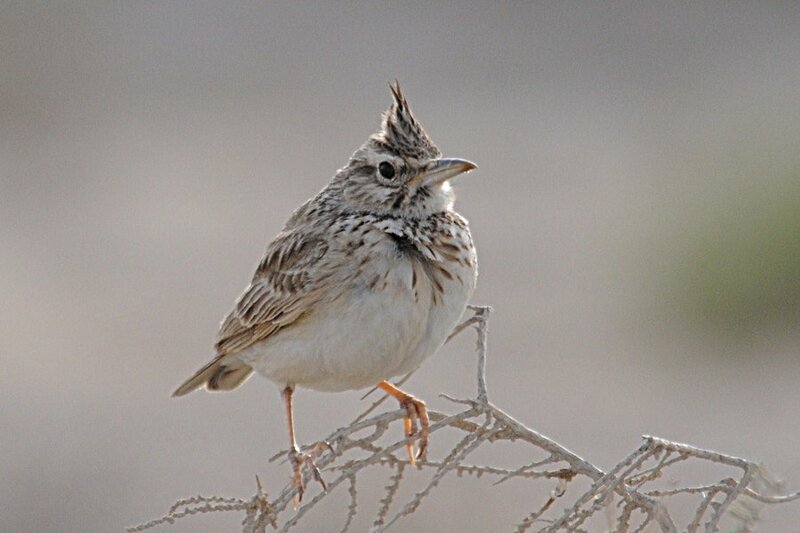 Crested Larks are singing from almost every vantage point which gives the feeling of spring even if the weather does not and a few Woodchat Shrikes still remain in the spray fields.